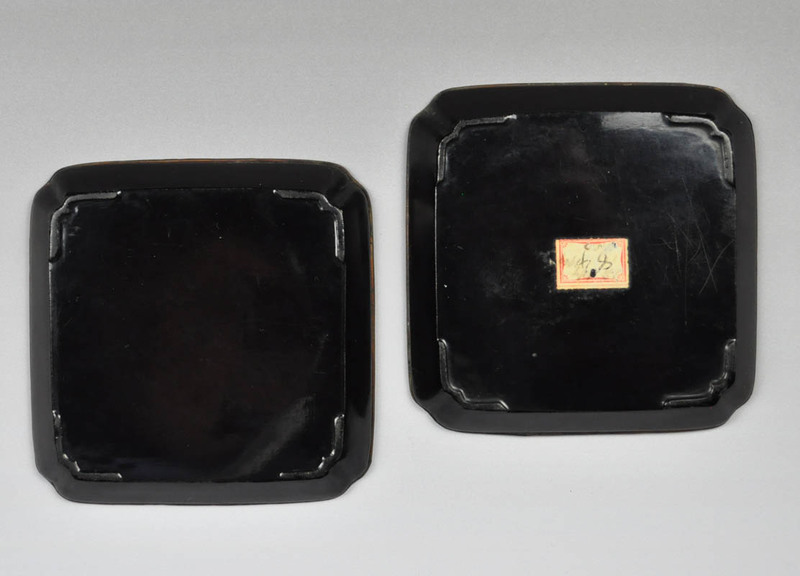 A rare pair of small, square-shaped lacquered plates with rounded corners, the edge covered in metal. 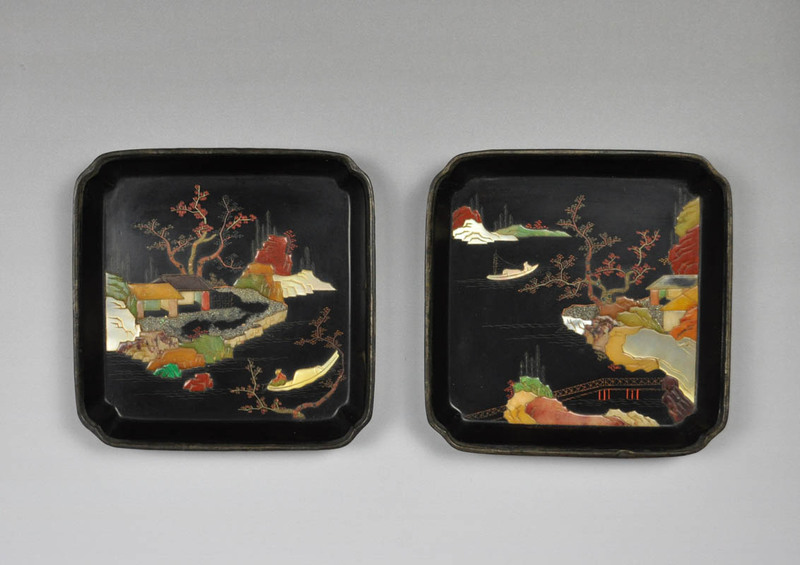 The decoration, finely made with inlays of mother of pearl, soapstone of different colors, malachite and shell dust, depicts a mountainous landscape by the river with a bridge, two boats and some buildings. 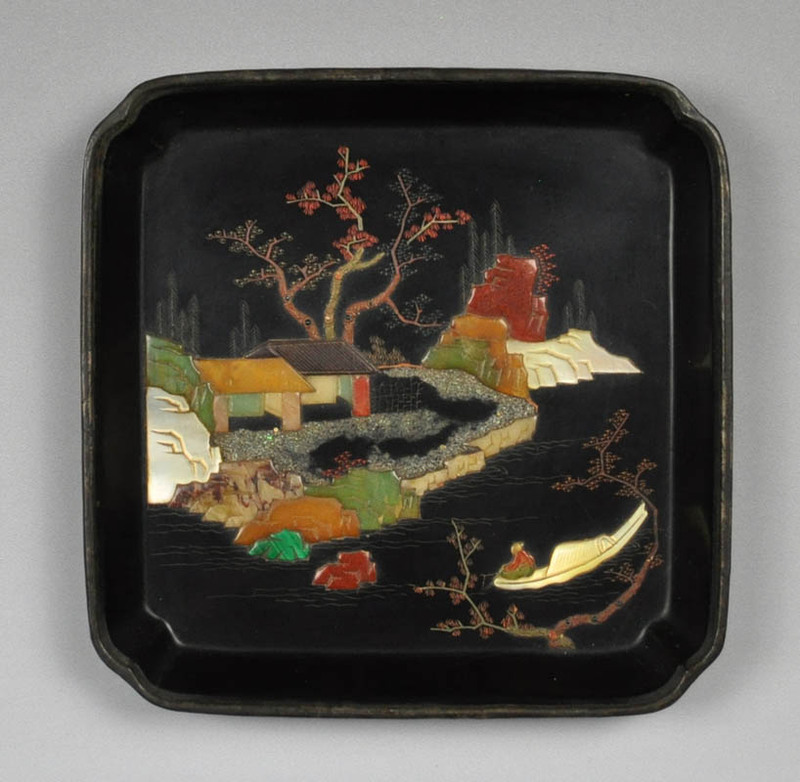 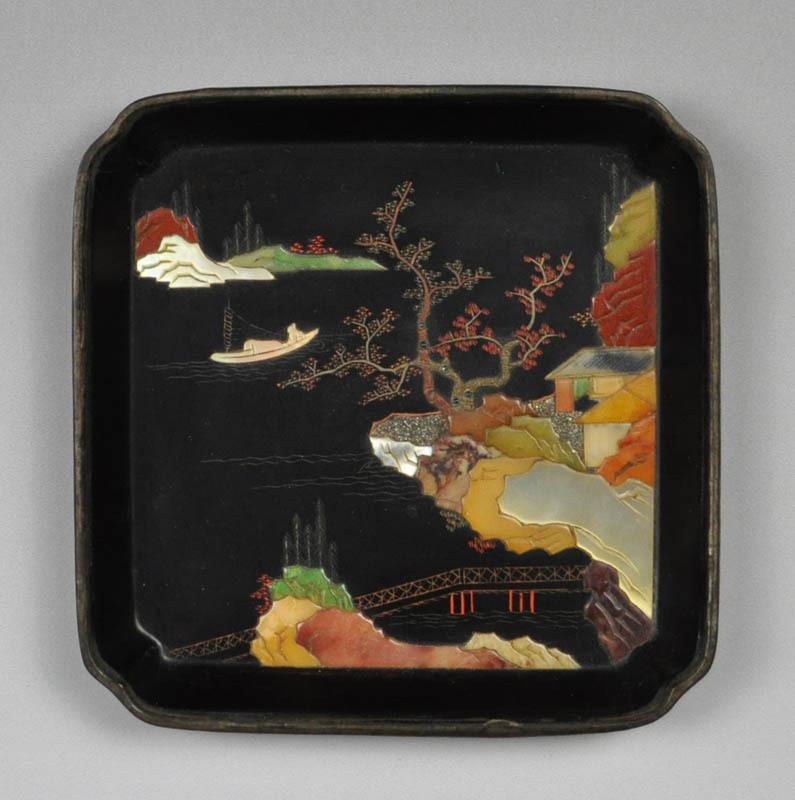 A similar plate is illustrated in "Ryukyuan Lacquerware from the Urasoe Art Museum Collection", no.179.